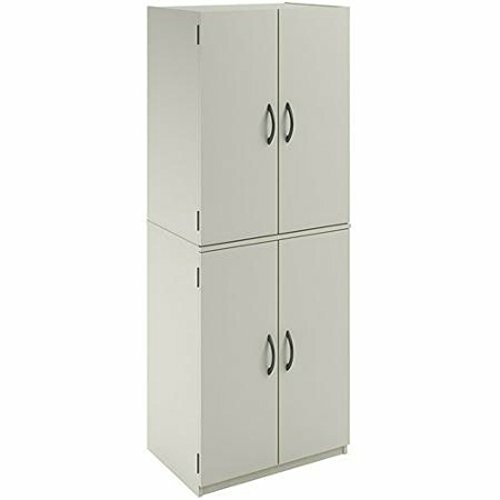 This storage cabinet with doors features four roomy storage areas with two adjustable shelves and one fixed shelf. It offers ample space for kitchen accessories such as cookbooks, small appliances, dinner sets, condiment bottles and more. It can also store pantry goods such as rice, canned food, pasta and spices. The elegant finish and accompanying ergonomic handles will complement your kitchen's contemporary decor. If you have any questions about this product by Mainstays.., contact us by completing and submitting the form below. If you are looking for a specif part number, please include it with your message.